Colorado Public Television – Channel 12 to Air New 9/11 Truth Film! 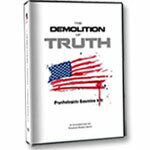 Colorado Public Television (CPT12) will air the world premiere of The Demolition of Truth – Psychologists Examine 9/11 on Thursday, August 25, from 7 to 9 p.m., MDT. Live streamed: This new documentary will be streamed live over the Internet at http://www.cpt12.org/9-11. 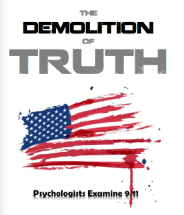 THE DEMOLITION OF TRUTH – PSYCHOLOGISTS EXAMINE 9/11 presents testimony from highly credentialed scientists, engineers, and military experts, including Dr. Robert Bowman, Dr. Lynn Margulis, Dr. Neils Harrit, David Chandler, and many more. This expert testimony is interwoven with analyses by social scientists who examine the psychological impact of 9/11 and the phenomena that have kept us blinded to truths too painful to acknowledge, even to ourselves. The film concludes with steps we can take, individually and collectively, toward healing. An epilogue by actor Ed Asner summarizes these analyses, emphasizing the role played by mainstream media that, lamentably, parrot their government sources rather than question them. Physicist David Chandler from Portland, Oregon (left), and 28 Pages Expert Les Jamieson (below right) from New York City will be guests in the studio! Other studio guests will be psychology professionals Marti Hopper, Dorothy Lorig, and Fran Shure, as well as California highway patrolman John Meaders. 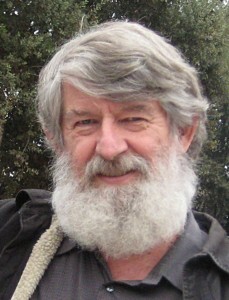 See bios for filmmaker Charles Ewing Smith and these in-studio guests at http://www.cpt12.org/demolitionoftruth. CPT12 is the only PBS station in our nation that has broadcast 9/11 Truth films, so please mark your calendars. Let’s show CPT12 how much we appreciate them! Call in during the show at 1-800-690-5234 or log in to donate, mentioning how much you appreciate CPT12 for showing this film. You can receive additional resources with your donation including the Director’s Cut of the film that has over 48 minutes of additional footage. Share on CPT12’s Facebook, Twitter, or make a comment at Viewer Buzz online. Please forward this announcement generously to your contacts and share on your own social media. Send this announcement around the world! 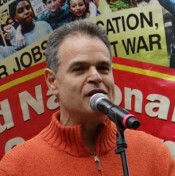 In previous years, CPT12 aired the documentaries 9/11: Blueprint for Truth; America: Freedom to Fascism; Loose Change 9/11: An American Coup; The World According to Monsanto; ETHOS: A Time For Change; and Burzynski: The Movie; among others, which were similarly successful in generating pledges as well as public commentary. In 2012 due to being aired at CPT12, 9/11: Explosive Evidence – Experts Speak Out became the most watched and the most shared video at pbs.org, attaining 1.2 million online views in 186 countries within just a few weeks around the 11th anniversary of 9/11. Mission Statement of CPT12: Colorado Public Television is committed to presenting alternative perspectives and to examining information and issues not addressed elsewhere in the mainstream media: http://www.cpt12.org/about/about_us.cfm? 15th Anniversary, 28 Pages, 9/11: Explosive Evidence - Experts Speak Out, Colorado 9/11 Truth, Colorado Public Television, David Chandler, Dorothy Lorig, Fran Shure, John Meaders, Les Jamieson, Marti Hopper, Shari Bernson. permalink.